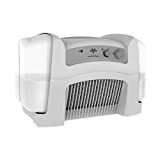 Best Humidifier • The Air Geeks, reviews of air conditioners, dehumidifiers and air purifiers. A humidifier refers to a device whose main purpose is to increase the percentage of humidity in the air. The recommended humidity level is between 40% and 60%, but in winter it is reduced due to heating or other weather conditions. This can cause complications on your health. Indeed, too dry air can cause sore throats, chapped lips, sinusitis, eye irritation, as well as various forms of respiratory problems. By increasing the humidity level in the air, the humidifier avoids these inconveniences and greatly improves your quality of life. On this page, we selected the best humidifiers for your home, classifying them by the size of the unit you intend to humidify. Let’s go! 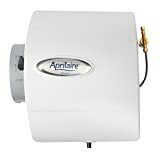 For The Air Geeks, the best Whole House Humidifier is the model 700 by the brand Aprilaire. An excellent, powerful device by a very nice brand. This device, while effective and reliable, is autonomous. It will do the job you are looking for without the need for intervention. Thumbs up! 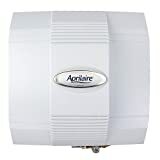 For The Air Geeks, the best Large Room Humidifier is the model 600 by the brand Aprilaire. For large rooms, halls or several smaller rooms of apartments, this device will do the job reliably and silently. Sturdy, reasonably elegant, this is good value. Recommended. For The Air Geeks, the best Small Room Humidifier is the model Evap40 by the brand Vornado. This is what we expect when it comes to humidify a small room: a good price, interesting functional settings, and powerful humidification. Thumbs up! For The Air Geeks, the best Personal Humidifier is the model XL Ultrasonic Cool Mist by the brand MistAire. This small, user-friendly and reliable device comes at an affordable price while checking most boxes. So why wait? Are humidifiers good for babies/newborns/infants? Humidifiers are not only good for newborns, but they are also recommended should-haves by pediatricians. Dry air can worsen colds and congestions on babies. Having the right amount of humidity in the house ensures that infection-causing viruses are grounded. You should go for a cool-mist humidifier to ensure safety if you are going to use them in the babies’ nursery. The hot water in the warm mist humidifier poses a safety risk for your baby. Can humidifiers help with eczema, dry skin or dry eyes? 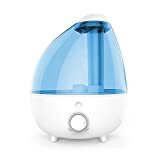 If you struggle with dry skin/lips/nasal passage conditions during the dry weather, then it might be time you bought a humidifier. In fact, a humidifier can greatly help with wet-wrap therapy moisturizing treatment for eczema patients. A humidity level of between 40% – 50% should be enough to reduce cracks in the dry skins and thus preventing eczema flare-ups. Using a humidifier will not only help your skin feel better by reducing the wrinkles, but it will also make it feel better. Can humidifiers help with allergies, asthma or cough? If you suffer from allergies, dry air will only aggravate the condition. Invest in trying to improve the air quality in your house by using a purifier or a humidifier. Properly humidified air will also help in clearing airways in your respiratory system by liquifying the mucus and preventing congestions caused by colds and flu. If you or your family member has asthma conditions, talk to your doctor before using a humidifier. However, an ultrasonic humidifier would be a better option for such patients. This is because mist-based produce large droplets that do not reach the lower airways where the mucus creates the biggest problems. Are humidifiers good for pets/cats/dogs? Pets, like humans, also have health conditions like allergies or seasonal sicknesses. They are highly susceptible to extreme weather conditions. When you use a humidifier, it will also benefit the pets the same way it will to you. A cheap option from a local store should be enough to do the job. However, you should take caution when choosing the humidifier to use for your pets. While an ultrasonic humidifier may seem quiet to you, it may be disturbing to dogs. Depending on the breed or age of the dog, frequencies as high as 60kHz are audible to them. You should, therefore, make sure you check the operating frequency of the humidifier before making a purchase. Can I use humidifiers when AC is on? When Air purifier is on? It is possible to use the AC and at the same time have your humidifier on. Though the electricity bill might go up, the AC can be helpful in maintaining the desired room temperature while the humidifier ensures that the air is not too dry to pose health risks. Humidifiers also work very well with purifiers and do not cancel each other out. Air purifiers complement the ultrasonic humidifiers very well by making sure the white dust produced is captured and does not settle on furniture and walls which could make them look ugly.